"Pagel's story is...vivid and effective...this is the best popular science book on culture so far." "This richly rewarding work of science explains the evolutionary significance of living in a collaborative culture. Human evolution may be the hottest area in popular science writing, ahead even of books about cosmology and the brain. 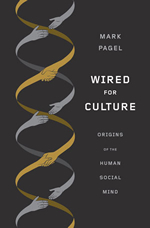 Within this crowded field, Mark Pagel's Wired for Culture stands out for both its sweeping erudition and its accessibility to the non-specialist reader." What makes us human? It is a question that invades nearly every aspect of our lives, our psychology and our behavior. Who are we, and why are we the way we are, so utterly different from other animals? 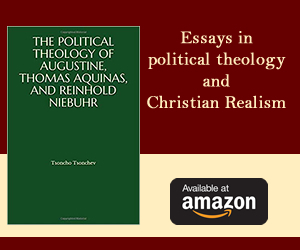 The answers to these questions form the great themes of literature, theology and philosophy. To some our uniqueness lies in the mystery of consciousness, morality, or our capacity for shame, kindness or empathy. For others it is that we have language, a free will, that we are responsible for our actions, or that we possess a soul. It is true, these traits and features set us apart, but in my book Wired for Culture I explain that they are not what made us human when our species first arose on the African savannah sometime around 200,000 years ago. Instead, answers to this question are beginning to emerge from the field of evolutionary biology. It turns out that what distinguished us from every species that had gone before us - including other pre-modern human species - was our unique 'capacity for culture'. What does this have to do with evolution? Humans alone are able to produce distinct cultures consisting of sets of shared beliefs, knowledge, skills languages and religions, and the connection to evolutionary biology is that they have acted throughout our history as Darwinian mechanisms for promoting our survival and reproduction. Our cultures are responsible for our worldwide success as a species, and we will see that they have sculpted us body and soul. Our capacity for culture grants us the ability to copy each other's ideas, knowledge, wisdom and skills. The significance of this is that once ideas could jump from one mind to another, an entirely knew sphere of evolution came to life - the sphere of evolving ideas. It was a true form of evolution because our minds could now conduct tournaments of natural selection favouring survival of the fittest ideas - good ideas retained and bad ones discarded - just as the natural environment selects favoured combinations of genes. The ability to select among ideas opened up an unbridgeable gap in the evolutionary potential between humans and all other animals. Uniquely among animals, human culture could progressively adapt as good ideas built successively upon others that came before them, or were combined with others. At first we built simple objects like hand axes chipped or 'flaked' from larger stones. But these would give way to more sophisticated axes, and when someone had the idea to combine a shaped club with one of these hand axes, the first 'hafted axe' was born. Similarly when someone had the idea to stretch a vine between the ends of a bent stick the first bow was born and you can be sure the first arrow soon followed. This process of cumulative cultural adaptation would propel modern humans out of Africa beginning around 60,000 years ago in small finely honed and adapted tribal groups that acted as vehicles for our survival and prosperity. They eventually occupied nearly every environment on Earth - from living on ice to surviving in deserts or steaming jungles, even becoming sea-going mariners as the Polynesians did - by enabling us to acquire knowledge and produce technologies suitable for those environments. No other species is like this. Chimpanzees, for example, are renowned for their 'tool use' and we think this is evidence of their intelligence. But you could go away for a million years and upon your return the chimpanzees would still be using the same sticks to 'fish' for termites and the same rocks to crack open nuts - their 'cultures' do not cumulatively adapt. Today you inherit a vast cultural knowledge in much the same way that you inherit your genes, it is just that your 'cultural genome' is handed down the generations from mind to mind (and now stored in books, on the internet or in other electronic forms). And, just as you probably have little or no understanding of how your genes build and operate your body, most of us have little or no understanding of where most things in our societies come from. You are almost certainly carrying around in your pockets or in your handbags and briefcases objects that have been produced by cumulative cultural adaptation that no single person on Earth could produce. Even something as simple as a pencil requires the knowledge and technology of many people. Human culture, then, has been an evolutionary bandwagon worth jumping on and any particular cultural genome would have been worth protecting from competitors. As a consequence humans have acquired an evolved psychology for promoting their groups in competition with others like themselves. Thus, we are oddly group-focused as a species, happy to wear silly matching shirts to sporting events and paint our faces in the colours of our national flags. We are altruistic to a fault, routinely holding doors for people, giving up seats on trains, contributing to charities and even risking our health and well-being for others - as when we jump into a river to save someone from drowning, or when we risk our lives fighting for our countries in a war. Indeed, collections of people working together inside their cultural groups are not so different to the collections of cells that work together to make our bodies, or collections of termites or ants cooperating in their mounds and colonies - all are promoting a structure essential to their survival and prosperity. You will not see any of this in a chimpanzee. At the same time, we are only too aware of our 'dual moral nature' capable on the one hand of extreme kindness, we can abandon that kindness in an instant, and treat other members of our species as sub-human in moral terms, and especially when they hail from another 'tribe'. We see this in our tendencies to be wary of strangers, or in our xenophobia, bigotry or extreme acts of violence in war. Just compare your emotions at the news of one of your own country's soldiers dying in battle, to those you feel when another country's soldiers are killed. Other unique features of our psychology, including norms and morality, our expectation of fairness and our tendency towards 'moralistic aggression' - punishing people who violate social rules - are emotions and social mechanisms we evolved to police those who might be tempted to exploit our fragile cooperative cultural systems. Perhaps the supreme irony of our evolved cultural dispositions and of the strength of our cultural attachments, is that our particular cultural identities are accidents of birth. Each of us could have been someone else with a different internal voice, language and ideas to defend. Think of it, you, a member of the most intelligent species on Earth, have been programmed to defend what turns out to be an arbitrary set of ideas: the psychology we have acquired that gets us so vigorously to defend our societies is indeed revealed as a Darwinian one - a strategy that promotes our genes. So, how will this tribal psychology play out in our modern globalized and interconnected world in which people of different backgrounds find themselves living side by side and in ever-larger social groups? Unexpectedly, it is our evolved tribal nature that offers a glimmer of hope. Here is why: if nothing in our evolutionary history specifically prepared us for the modern world we now inhabit, it turns out that everything about the way human culture works does. The reasons are subtle but powerful. Cooperation in the other animals is limited largely to helping relatives, but we have acquired the ability to cooperate with and exchange ideas, thoughts and skills with others. This unique 'ultra-sociality' along with our evolved psychology - both borne of our capacity for culture - is why we can live in large social groups, walking among millions of people who are effectively strangers, so long as we are convinced they are playing by the same social rules of fairness and exchange as us. If you take this for granted, imagine 100,000 dogs or hyenas packed into a sporting arena. The next century is going to be a time of great uncertainty and upheaval as resources, money and space become ever more scarce. It is going to be a bumpy road with many setbacks and conflicts. But if there was ever a species that could tackle these challenges it is our own. It might be surprising, but our genes, in the form of our capacity for culture, have created in us a machine capable of greater cooperation, inventiveness and common good than any other on Earth. Mark Pagel is a Fellow of the Royal Society, professor of evolutionary biology at the University of Reading, and an External Professor at the Santa Fe Institute. He lives in Oxford, England.